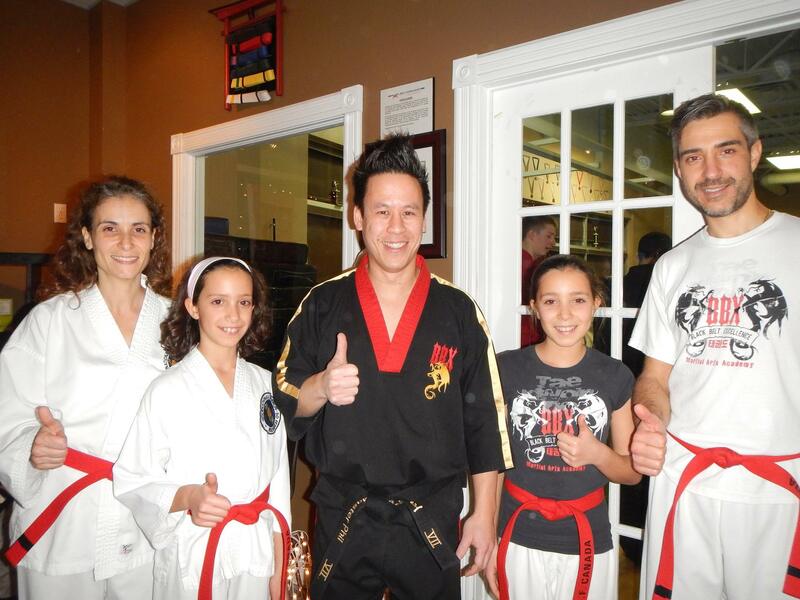 Tonight was our last colour belt class and I’m struggling to get my mind around how we got here. 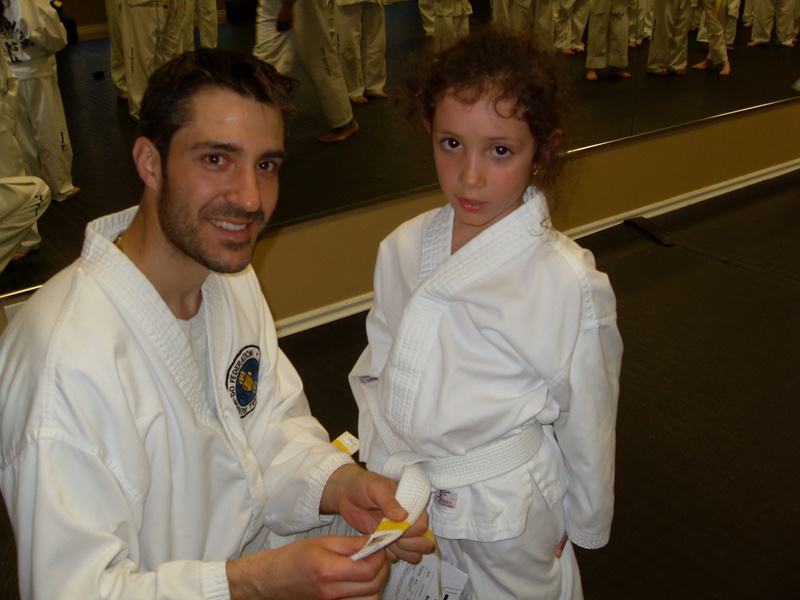 It really does feel like yesterday, when Sofia celebrated her 6th birthday at the dojang with her friends and I was standing in the entrance with a 4 year old Chiara wrapped around my legs not about to budge. 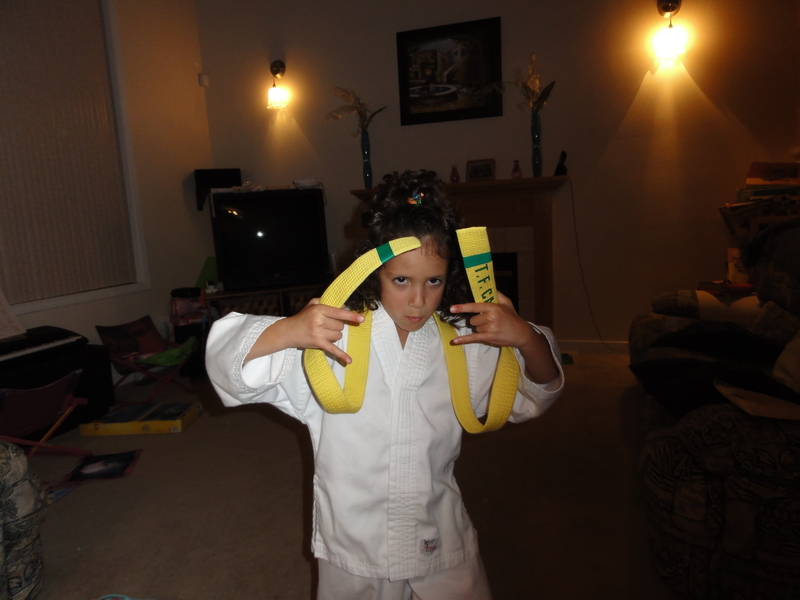 ….and the motivational yellow belt…..
…emerging into the green belt…. …and no looking back after blue…. …all the way to the awe inspiring black stripe! Awe inspiring indeed, after trials and tribulations, tears and laughter we made it this far together and we are ready to kick it into BLACK! 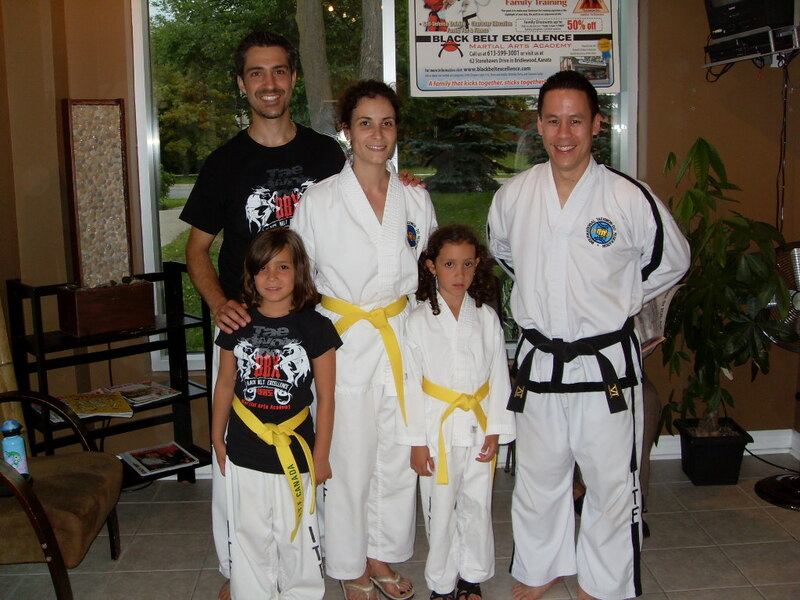 I have only been doing Taekwon-Do for the last 6 years and upon reflecting I realize that despite this I have had several grand masters inspire me throughout my life. 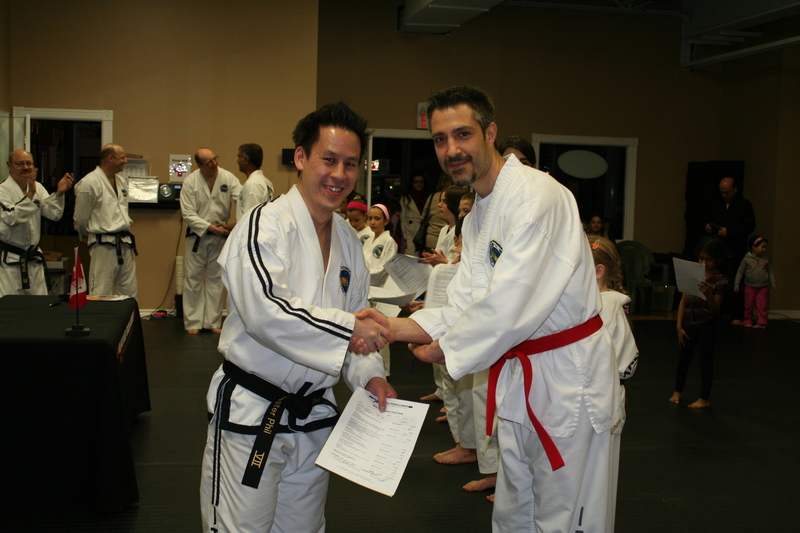 I recently said good-bye to one of my most influential grand masters who embodied the 5 tenets of Taekwon-Do before I ever knew what they were. 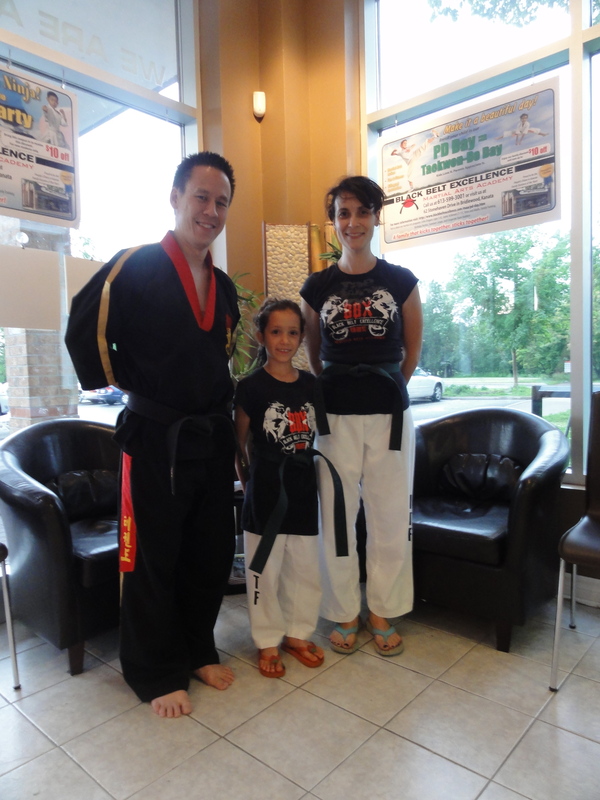 Although, she never practiced martial arts herself, she modeled the essence of what we aspire to in our training. Indomitable spirit – even faced with life’s greatest hardships and cruelest of circumstances she pushed through and thrived, leaving a legacy of love and devotion. 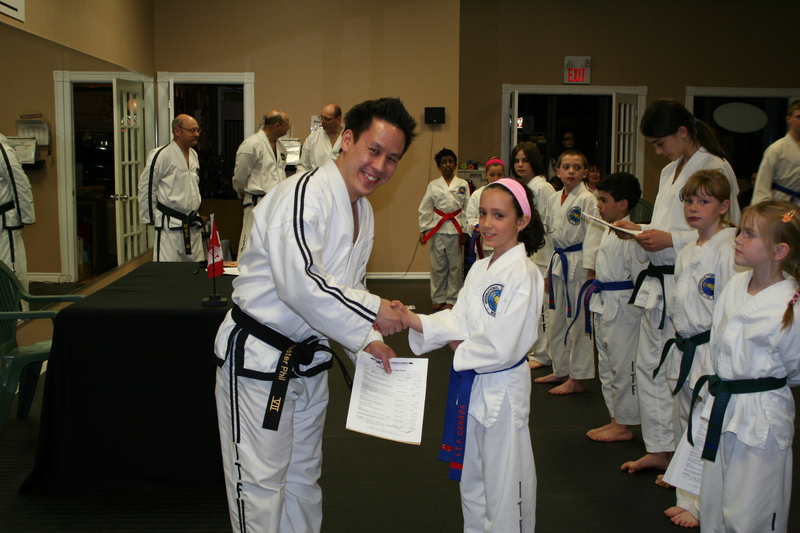 To all the grand masters out there, whether you are martial artists or not, a sincere thank you. Last week, at the Dojang, we were doing twenty second reps: Speed sparring, sprints, push-ups, planks and sit-ups and the best one of all was NOODLE WARS! We each took one noodle and one hand shield. The first round we had to hook arms with a partner and attack other teams. 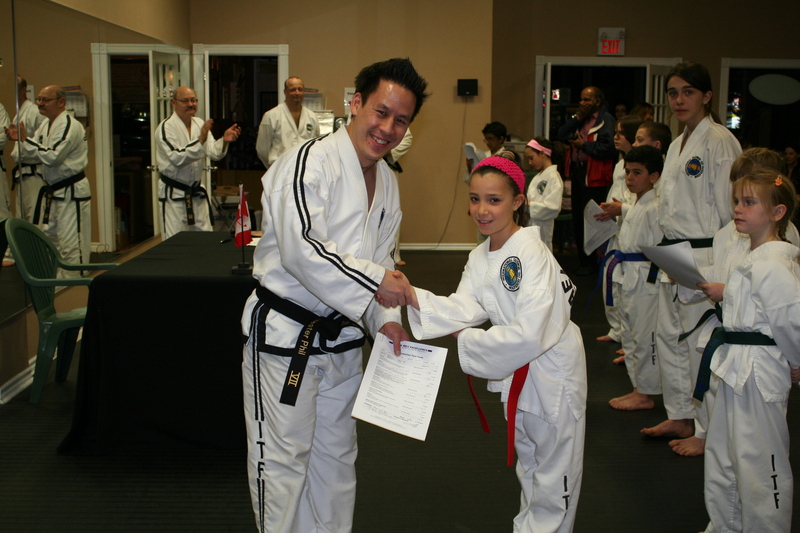 The second round it was black belts against colored belts. The last round, it was kids against parents! We screamed at the top of our lungs and we attacked them as hard as we could! 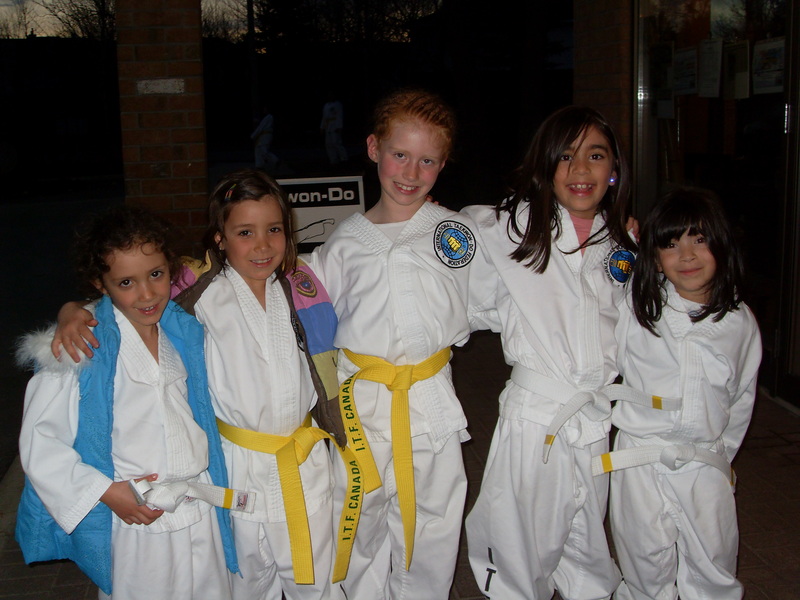 I have to say, that was probably one of the most fun times I had at Taekwon-Do! And anyway, when else do you get to attack your parents with a noodle? 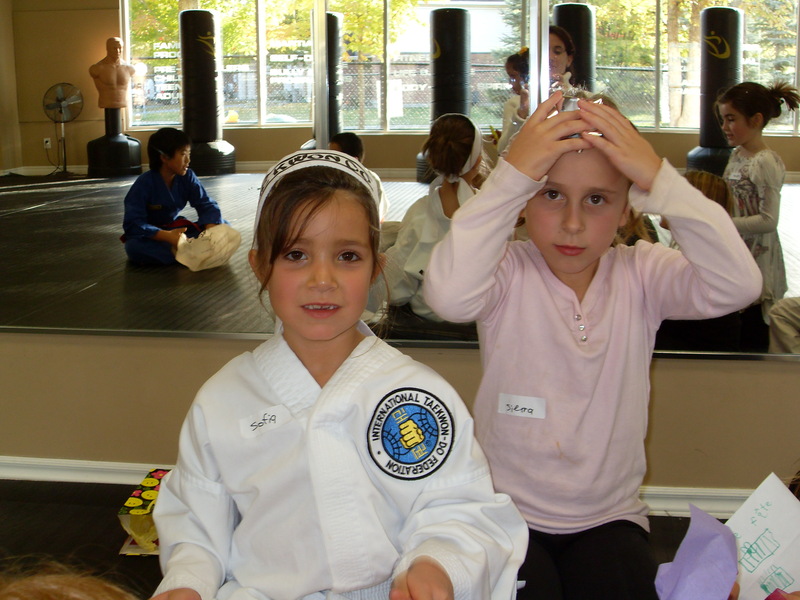 I guess at a pool party too but lets stick with the Taekwon-Do subject. Can’t wait until next week!